Peace is yours at this beautiful, spacious, sunny 3 bedroom home. One bedroom is on the first level with a full bath, and two bedrooms are located on the 2nd floor. The homeI is lovely and comfortably furnished. 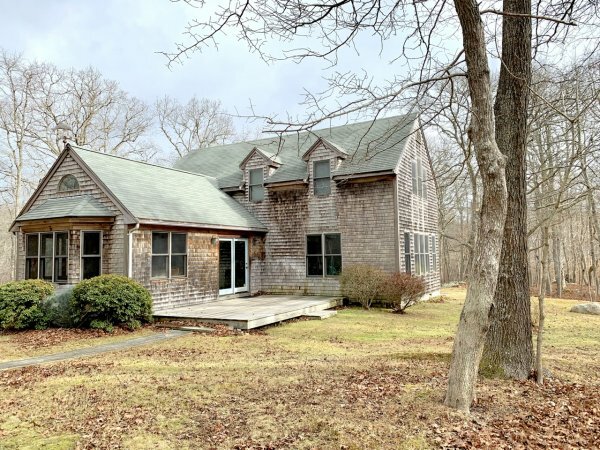 All the amenities one could desire are provided at this lovely Aquinnah home. Minutes from Philbin and Lobsterville beach, hike the trail or bike ride to the Lighthouse. The large, beautiful kitchen and dining area make Summer living easy and fun. The living room is lovely with lots of windows all around and a french door to the outdoors. An inviting deck for your BBQ, plus the quintessential outoor shower round out our offering. A best price in this area!